The Day of the Skulls saw Bolivians pamper the remains of their relatives in a tradition that dates back to pre-Catholic times. 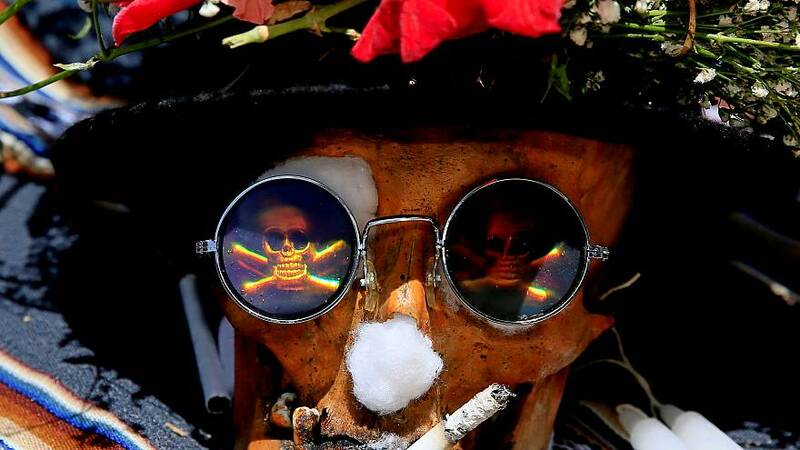 The Skulls, known as “natitas”, are decked out in hats and sunglasses for the occasion, which falls one week after All-Souls day. They receive offerings of food and cigarettes too. While the Roman Catholic church does not endorse the practice, local priests are often willing to offer a blessing.